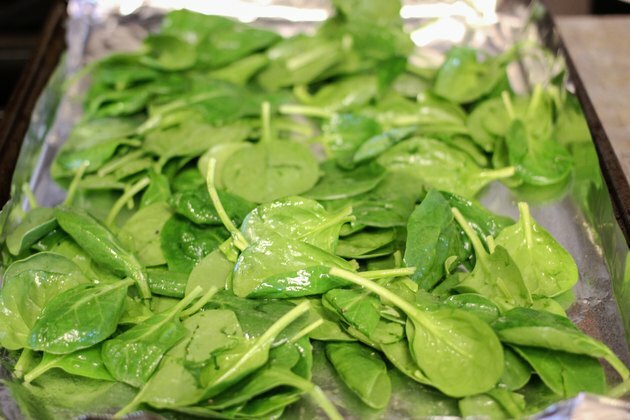 Spinach is not usually served roasted because its high water content can turn the spinach to soup before it can dry out and roast, particularly if you use the frozen variety. 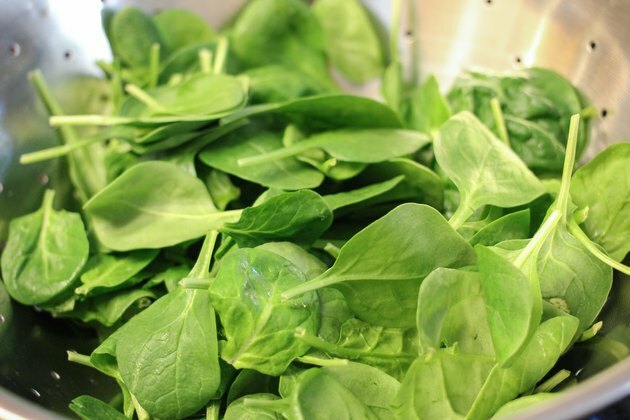 However, using fresh, whole spinach leaves rather than chopped, frozen spinach can alleviate the moisture problem. Roasting spinach brings out the flavor of the spinach, but cuts some of its bitterness. Serve roasted spinach as a savory side or a light meal combined with other roasted vegetables. Spinach is rich with vitamin K, vitamin C, calcium and magnesium. 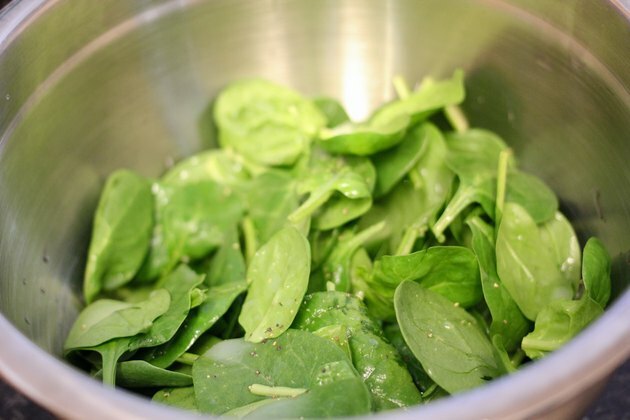 With only 7 calories in a 1-cup serving of raw spinach, it's a great addition to any diet. Place the spinach in a large bowl and add the olive oil and the garlic powder or the lemon juice, if you are using them. 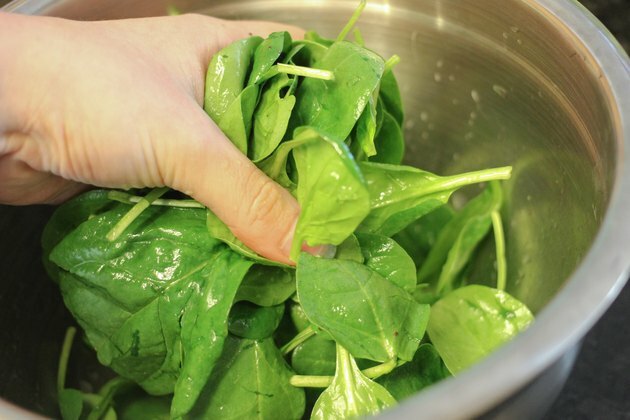 Gently toss the spinach in the oil and seasoning or lemon juice to coat it. Place the spinach on the baking sheet. Spread the spinach out as evenly as possible. 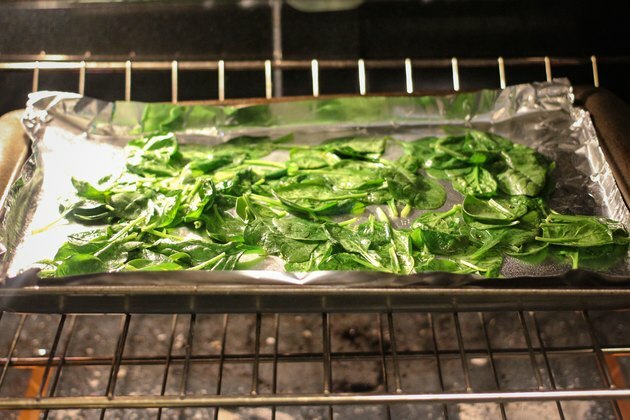 Place the baking pan in the oven and roast the spinach for three minutes. Take the pan out of the oven and turn the spinach with a spatula. Roast the spinach for three more minutes. 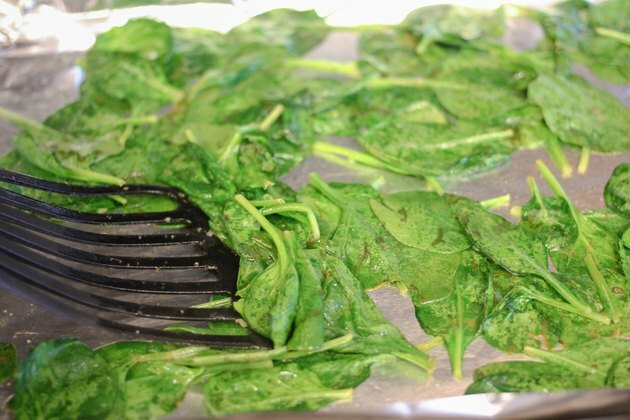 At the end of the cooking time, the spinach should be wilted and slightly browned. Take the baking sheet out of the oven and serve the spinach hot as a side or combine it with roasted potatoes and roasted red or green peppers to make a roasted vegetable entree. Spinach is rich in vitamin K, which encourages blood clotting. If you are on blood thinning medication you should limit your intake of spinach, as it may interfere with how well your medication works. Speak to your doctor before adding spinach to your diet.